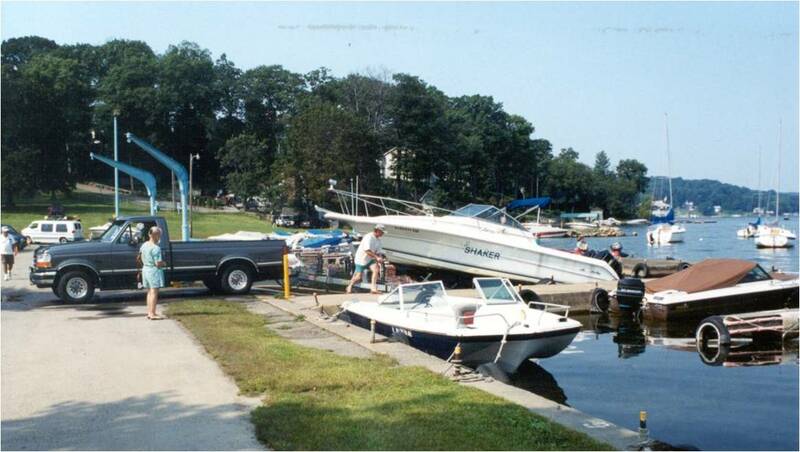 Lee’s County Park Maria, located on the east shore of Lake Hopatcong in Van Every Cove, is a 12.82-acre marina. 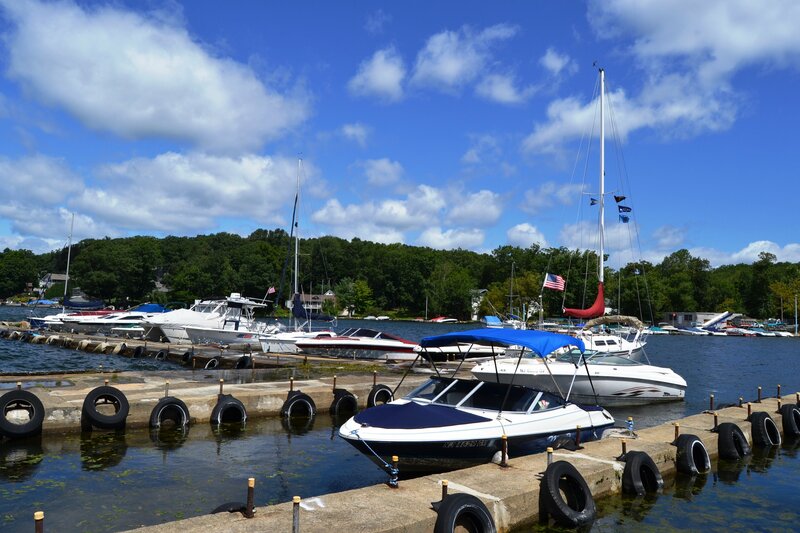 During seasonal hours, enjoy public boat access to Lake Hopatcong. Lee’s County Park Marina has 110 boat slips and 3 boat launch ramps. The Mountain Lakes rowing Club also trains at the Marina. Lee’s County Park Marina is available as a launch site for fishing tournaments on Lake Hopatcong. To make arrangements to host a fishing tournament at Lee’s County Park Marina, please call 973.398.5199. The generous gift of Lee’s County Park Marina was donated by the Robert E. Lee family of Mt. Arlington on September 23, 1994 to assure that the public has access to Lake Hopatcong.The largest freshwater lake in the State of New Jersey, Lake Hopatcong is nine miles long, has forty-five miles of shoreline, and lies at an elevation of 926 feet above sea level. The name ‘Hopatcong’ is derived from the Leni Lenape word which means ‘Honey Waters From Many Streams or Coves.’ This glacial lake originally appeared on the Vander Donk Map of 1656, but the first mention in a public record was made in 1714 by John Bull. Bull, a civil engineer and land surveyor, was employed by James Logan, who purchased the area from the West Jersey Proprietors. The first Lake Hopatcong was comprised of two lakes or ponds, known as ‘Little Pond’ on the north, and ‘Great Pond’ or ‘Brooklyn Pond’ on the south. In 1827, when the Morris Canal was constructed, a dam was erected in the vicinity of Lake Hopatcong State Park, which raised the water level by eleven feet, joining the two ponds into one lake. 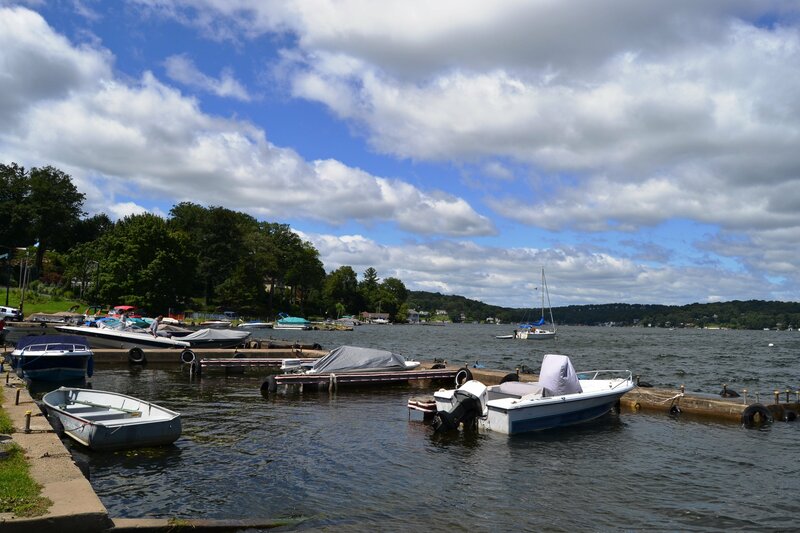 Today Lake Hopatcong remains a popular destination for boating and fishing. The Marina tentatively opens April 1 and operates through November 30, weather dependent. Hours of Operation: Daily 5 a.m. to 11 p.m.